Since our last posting, much has happened in Cuba. Alan Gross was tried and convicted of violating Cuban laws and sentenced to 15 years in prison. With the hopes that a humanitarian settlement of this case is achieved, former President Jimmy Carter is in Havana meeting with President Raul Castro and other Cuban government officials, doing the very thing our government should be doing officially, sitting down with our adversary and holding conversations at a higher level. 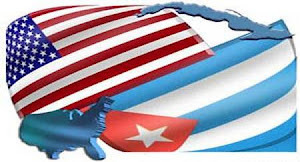 Now the idea of our government having conversations let alone negotiations with Cuba is unthinkable in the position of the pro-embargo bloc that politically controls and manipulates our policy on Cuba. The truth is only a dialogue is the pathway to the peaceful resolution of our differences. However in order to have a dialogue, it requires mutuality of the parties, something we refuse to acknowledge in word and deed. It took the Catholic Church to negotiate and obtain the release of political prisoners. And it may take a former U.S. President to get the release of an imprisoned American who violated another country’s laws, even laws that we would disagree. Cuba finally did the right thing in releasing all of its political prisoners. But then we chastised Cuba on its human rights, which could be a legitimate criticism if we treated Cuba like some other countries that have equally or more atrocious human rights violations. Ironically, we have diplomatic relations with those countries, not Cuba. Whatever moral superiority of our position on human and civil rights we possess, we lose it with our foreign policy hypocrisy. The Congress and the White House play a blind eye to it on Cuba because of the political purse strings involved. We still continue to use taxpayer money to finance Cuba “Democracy” programs. When will those failures end? Interference in Cuba simply has not worked and has only empowered the repression that everyone complains about. When are we going to cease being an international embarrassment in the treatment of our own citizens who can freely travel to any nation on the planet except Cuba? All eyes are on Havana now where the gentleman from Plains, Georgia, a Nobel laureate, and a historical peacemaker statesman is engaged with our challenging neighbor in search of the pathway to better understanding and relations. He is there out of the knowing that the key to change lies in dealing with our neighbors as they are first, not as we would like them to be. May his efforts bear good results, improve relations, and bring Alan Gross home.